Over the last few years, there has been a tremendous amount of talk about hybrid cloud. While there are many definitions for hybrid cloud, we at JumpCloud use the following definition: IT resources being deployed to an organization both internally and through the ‘cloud’. For the sake of this post, let’s define the cloud as resources hosted by third party providers that are connected to the purchasing organization via the Internet. The term encompasses both public cloud and private cloud at Infrastructure-as-a-Service providers such as Amazon Web Services, Google Compute Engine, Rackspace, IBM/SoftLayer, and many others. Let’s also include as part of the cloud other service providers, also known as Platform-as-a-Service solutions, such as Heroku and Engine Yard. Thus, the term hybrid cloud would include resources that are accessible to the internal organization via the Internet, but that are hosted by other providers. Almost all organizations that were around prior to the last five to seven years have some IT infrastructure on-premise. These can be internal data centers, labs, or even servers solely hosted on-premise. Organizations end up in a ‘hybrid’ situation when they choose to maintain some parts of their infrastructure internally while simultaneously leveraging the cloud for others. The question for management begins with how to provide access to all infrastructure, both on-premise and in the cloud. Long standing organizations will already have a directory to control access for their on-premise devices and applications, usually Microsoft Active Directory® or OpenLDAP™. But how do you connect those cloud devices and applications to your existing directory? 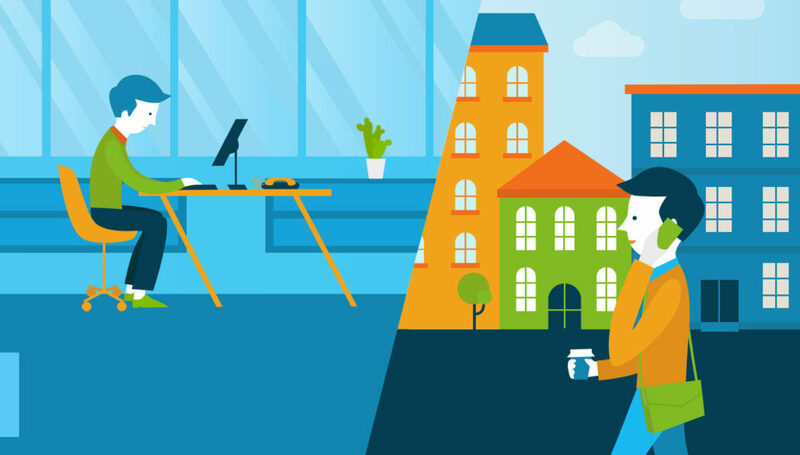 If your cloud infrastructure is not networked to your internal directory services, you’re forced to either create VPNs or expose your directory to the Internet, which is something some organizations are reluctant to do. This is because if one part of the infrastructure is compromised, the other side can be at risk too. Another problem is support for different devices and applications. Much of the IaaS world runs on Linux, and the applications aren’t easily connected to Active Directory. As such, how do you connect the cloud infrastructure back to the directory? When the organization has an existing directory – This could be AD, for example. In this case, the right approach is to extend Active Directory to support cloud-based infrastructure. JumpCloud’s cloud-based directory becomes a mirror of Active Directory, and then the users can be extended to the cloud-based servers and applications via JumpCloud. Any changes to users in Active Directory are automatically replicated in JumpCloud and then subsequently replicated to the cloud infrastructure. As a result, Active Directory remains the central user directory, but it is now connected to the organization’s cloud resources. When an organization is in a hybrid cloud situation, but doesn’t have a directory or who want to move exclusively to a cloud-based directory – In this case, JumpCloud serves as the central user directory hosted in the cloud. As a result, it can manage those devices and applications on-premise as well as IT resources in the cloud. JumpCloud centralizes the hybrid nature of the environment via one platform that can serve multiple operating systems, applications, and networks. Hybrid cloud is a perfect answer for some organizations. JumpCloud’s Directory-as-a-Service is the key ingredient to help organizations unify IT infrastructure on-premise and in the cloud. 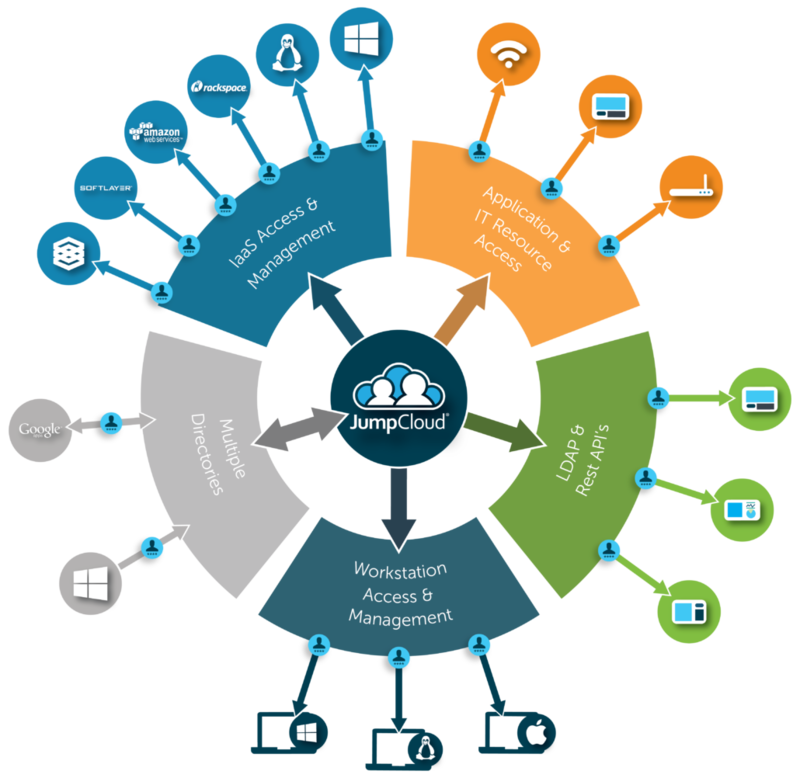 If you would like to learn more about JumpCloud’s hybrid cloud capabilities, drop us a note. Or, feel free to give JumpCloud a try. It is free forever for 10 users.